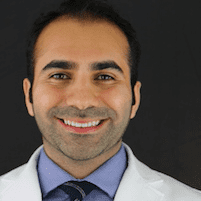 Dr. Homam Saleh, DDS is a Board Certified Dentist who provides oral healthcare in the Financial District of downtown Manhattan, New York City, New York, 10004 and surrounding areas. World Trade Center Dental Group offers diagnostic testing and oral cancer screening to ensure patients receive the best oral health care possible. 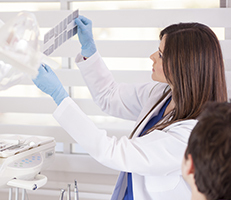 What Are the Benefits of Oral Cancer Screening? What Does Early Detection Accomplish? Oral cancer has many signs and symptoms including slight color change. Many of the symptoms are also associated with other types of disease and health conditions so it is important to monitor them to see if they change or become worse over time. Pain associated with oral cancer can be anywhere in the mouth. It can be near the ear, nose, jawbone, or throat. It can also be more prominent when swallowing or moving the jaw in certain ways. Red, irritated gums that may or may not be swollen are another sign associated with oral cancer. Lesions and sores that do not heal are also indicative of oral cancers, especially those associated with smoking or tobacco use.